The role of politicians in the corruption of our civic spirit – a national problem that has led us to the current economic mess – has me thinking a lot about Joe Cloghessy. Mr. Cloghessy lived in my childhood neighborhood. He was big and strong and worked hard for a living, like most of the men in the neighborhood. He might have had more money than his neighbors, but that never came up. He did have a pool in his backyard – he built it himself – and that made his house a rarity in those parts. Mr. Cloghessy was just as rare as his house. He let every kid on our block swim in his pool between 2 p.m. and 4 p.m. from the day school let out for summer until we went back to classes in the fall. Mr. Cloghessy was good with woodworking, too, and the nooks and crannies around his pool were filled with small bridges through garden plots adorned with wind chimes and figurines. It was as close to a country club as I was going to get, and that was just fine with me. Then one day I was playing around, doing the sorts of tricks that kids do, and I broke a railing on one of the bridges. I propped up the broken wood so it might pass for undamaged just long enough for me to slink away from the scene. Later that day one of my sisters mentioned the mishap, and my mother overheard. She immediately gave me a stern reminder that someone could have gotten hurt if they had counted on that railing to support them as they walked over Mr. Cloghessy’s backyard bridge. She told me that Mr. Cloghessy worked hard for a living – and nearly as hard to craft the handiworks that made his backyard such a special place. She made it clear that our fine neighbor was under no obligation to let every little kid on the block into his yard – into his life – every day of every summer. My mother also made it clear to me that it’s wrong to break something and not own up to the damage – especially when it’s something that belongs to someone who’s been good to you. Then she made me walk down the block and tell Mr. Cloghessy about the broken rail. She told me to apologize for breaking the rail – and for having lacked the courage to be forthcoming about the damage I had done. I was embarrassed and scared as I approached Mr. Cloghessy in the workshop of his garage that evening. He nearly gave me a pass right off the bat, just because he was that sort of guy. I think he figured out that my mother had sent me down for a lesson, though, so he got serious, telling me to come right to him if it ever happens again. Someone could have gotten hurt on that busted rail, he said. All of this makes me think of our current crop of politicians, who have busted more than a few rails but have yet to own up to the damage. It’s almost as though they are children who have misbehaved for a long time. It seems that nobody ever told them that fellows like Joe Cloghessy work hard and deserve better than to see their contributions to the common good left broken by someone who doesn’t even have the courage to admit to the damage. This immaturity in our political system has been a long time in coming. Voters helped make the problem – we haven’t done much to hold our child-pols accountable for many years. Now is the time for a fresh start – time to tell the politicians that they’ve disappointed us and must face some discipline. Many of the politicians will survive – there are some sincere ones out there, after all, and others who have a sufficient store of good deeds to ride out their missteps. Some shouldn’t get a pass because they’ve simply gone too far with the pay-for-play and other selfishness. In any case, it’s time to realize that the world has changed dramatically in just the last few months. It’s quite clear that none of us are going to get anywhere until our politicians own up to their mistakes and start mending their ways. It’s now up to everyone who’s concerned about our country and its civic spirit to call our politicians to account. We’re the only ones who can demand that they stop breaking things – starting with the public trust. Submitted by AndrewAnderson on Sat, 07/19/2014 - 09:01.
swimming pools are the alternative option to stay away from summer. It is the best choice for fun and enjoyment but it is also need skills otherwise you may face troubles. People usually built a swimming pool in their yard but do not give attention to maintain it,which further give varieties of problems . 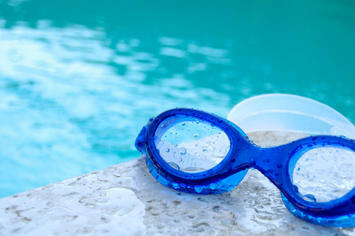 so to maintain a pool we need the proper guidance from pool centers and we should follow the tips . Submitted by Keith Russel on Fri, 04/02/2010 - 01:39. Having a swimming pool in your own backyard is wow, I am a swimming fan and I love the water but not everyone has similar good luck as Mr. Cloghessy. But if you are living in the UK then guess what you can Swim Free and that is absolutely true. All you need to do is find a location that is close to you that offers it. Submitted by kenstremsky on Sun, 04/26/2009 - 19:50.